Although this cultivar was registered by Lawrence D. Englerth of Michigan in 1985 as being of unidentified parentage, The Hostapedia by Mark Zilis (2009) states that it is "...possibly a 'Tokudama' × H. 'Sieboldiana' hybrid." 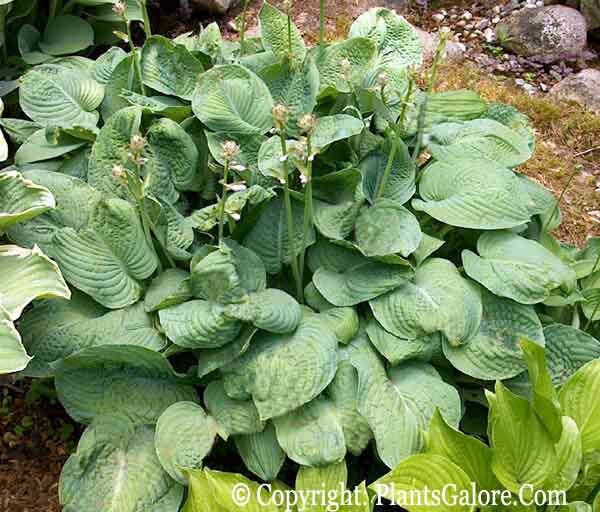 The plant forms a large size (20 to 24 inches high) mound of wavy, somewhat unruly foliage with thick substance. Its near white flowers bloom from late June into July. According to The Hostapedia by Mark Zilis (2009), "This is one of the few green-leaved H. 'Sieboldiana'-type cultivars." Similar cultivars include H. 'Sea Monster'.